← Breslin Farms goes to school. It’s spring! 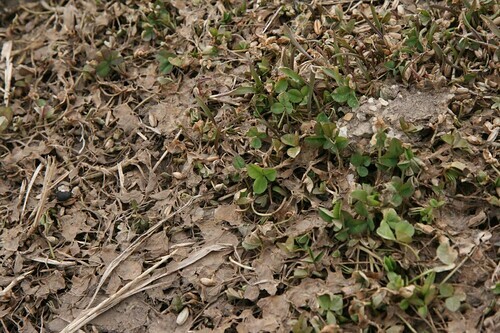 Today on the farm I found fresh green clover pushing up from underneath last year’s browned and matted vegetation. Soon its flowers will be feeding honey bees. The hard red winter wheat seems to have survived. It’s so nice to see a whole fuzzy green field! 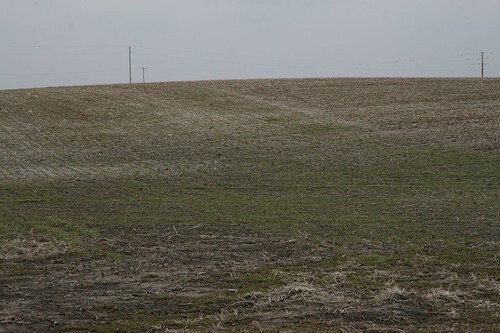 One of the things we have to decide in the very near future is whether we have a good enough stand to keep it, or whether it makes more sense to turn it under and plant something else here for this season. It’s a process of counting plants and estimating the total stand density. I hope we get to keep it, but the agrinomics/economics will rule in the end. 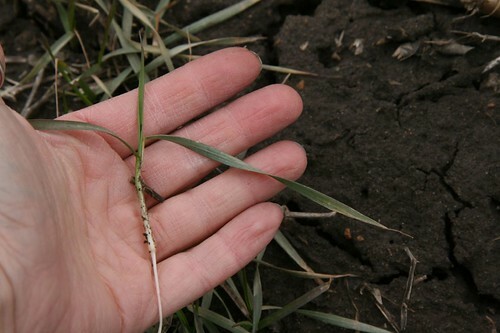 I tasted this wheat shoot – it tastes sweet and satisfying, just like the wheat grass that you buy in the store or see in juice bars. Go figure!